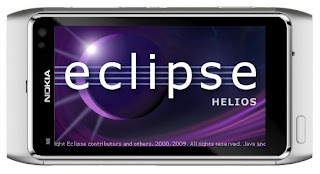 Together with the rest of the Eclipse Helios SR2 release, MTJ project has also made its 1.1.2 release available. Unlike most Eclipse projects MTJ project introduces new features on SR releases as well. You can find the information on the new features in the new & noteworthy page. Equally important to the features is the list of the bugs that were fixed in this release. Please note that MTJ project recently had a project move. As part of the move, the URL for its web site has been changed to http://www.eclipse.org/mtj the changes have also affected the update sites and the download sites and the /dsdp/ has been removed from them. Project team has updated the website and all the references that we are aware of, however if you notice that some link has been missed and is still pointing to the old URLs please report them. What Nokia announcements did not change?